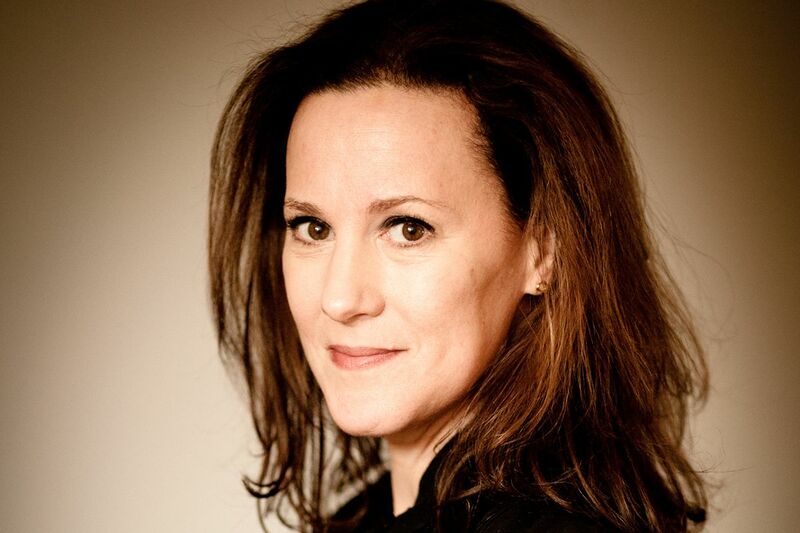 I love grey and think it’s impossibly chic, and deal with the fact that it tends to wash me out by making sure I’ve got a nice bold lip going, and/or that that there’s another, more flattering color closest to my face. 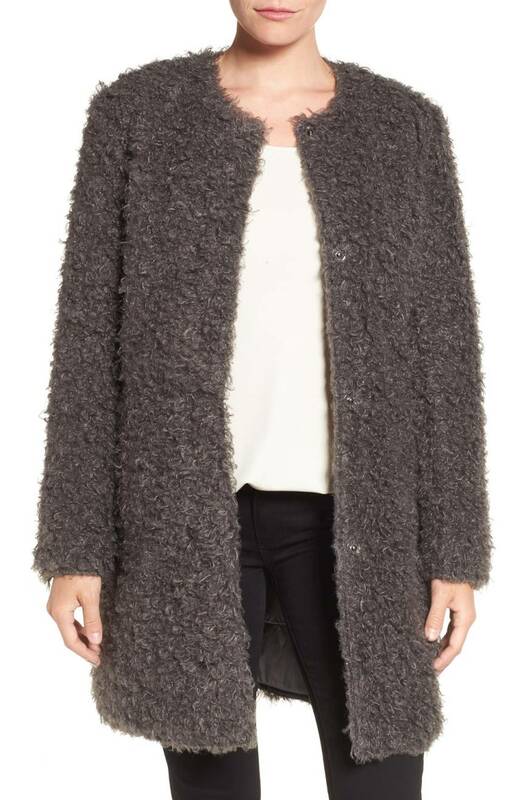 I’ve included a few grey coats here that are not under $100, but they’re all marked down and reasonably good deals. I have a grey striped shirt like this one that I wear endlessly. This twist-front tee is good for stomach pooch camouflage, and also looks like the very soul of comfort (here’s a similar sweatshirt I also like). Nobody can own too many big huggy oversized sweaters. A three quarter sleeve cardigan is excellent for pairing with dresses. 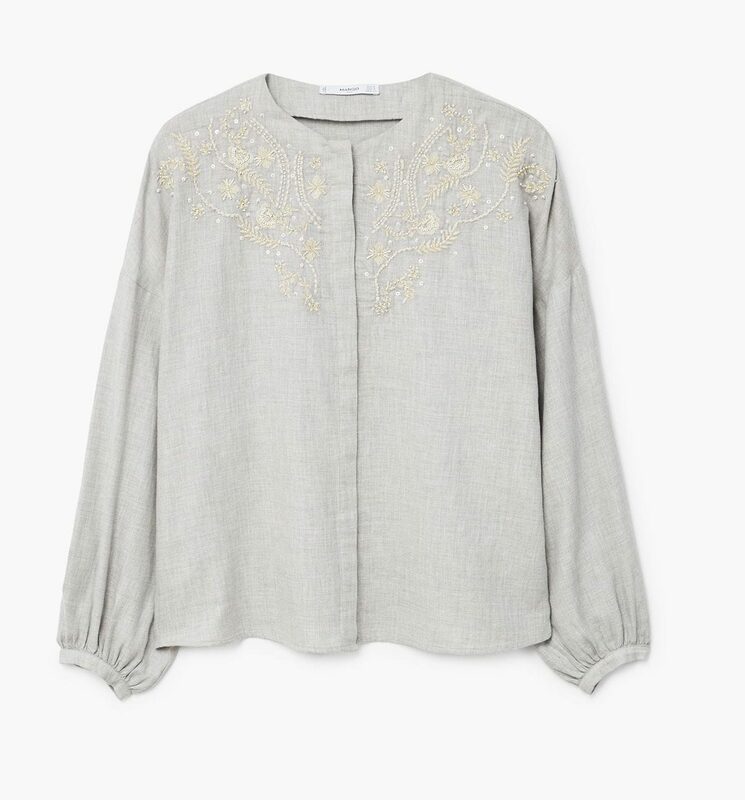 This embroidered cotton blouse is nice and subtle. 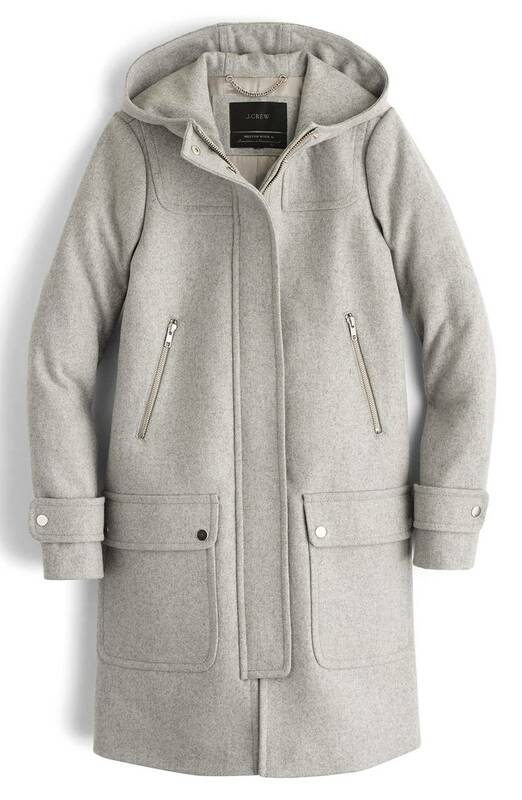 A duffle coat in grey is rather unexpected and even charming. 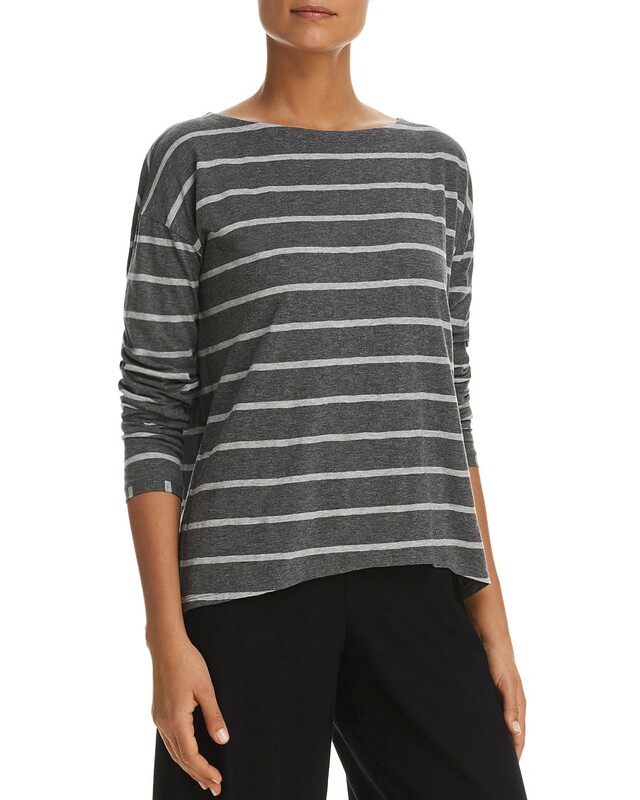 This grey-on-grey striped boatneck tee looks like a good option for throwing on when you don’t know what else to throw on. These jeans are a very dark grey—almost black, even—but that’s how I like my grey jeans. If you have any thighs at all, it’s more flattering. A perfect beach cover-up for those of you lucky enough to be headed somewhere warm soon. I like the exaggerated cuffs on this turtleneck sweater. Faux fur in grey is pretty chic, in a borderline edgy way. I’d wear it layered over a hoodie. This top is Eberjey, so it might be pajamas, but I would happily wear it out of the house, as it has such a graceful, flattering neckline, and I like a dropped shoulder. 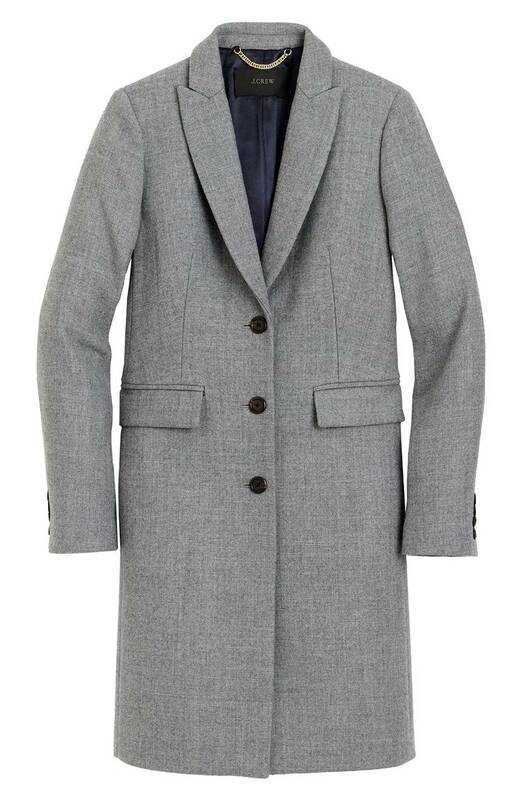 A well-cut topcoat is just a good thing to own. 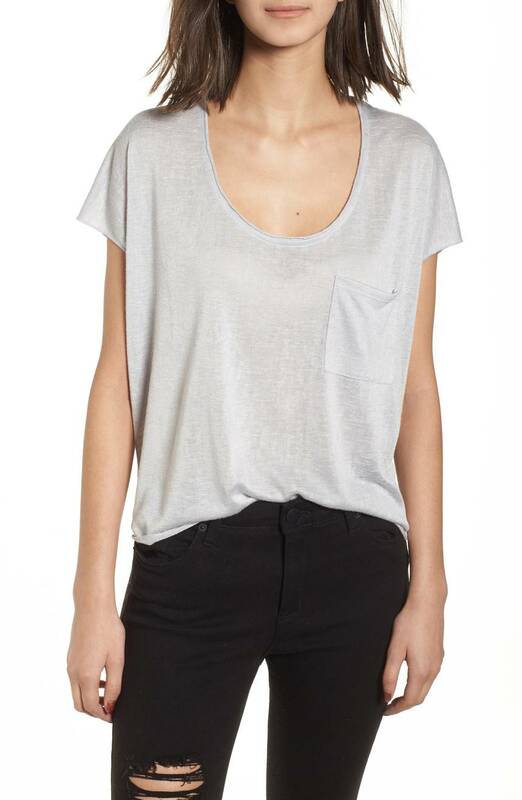 I love the cut of this slouchy tee. 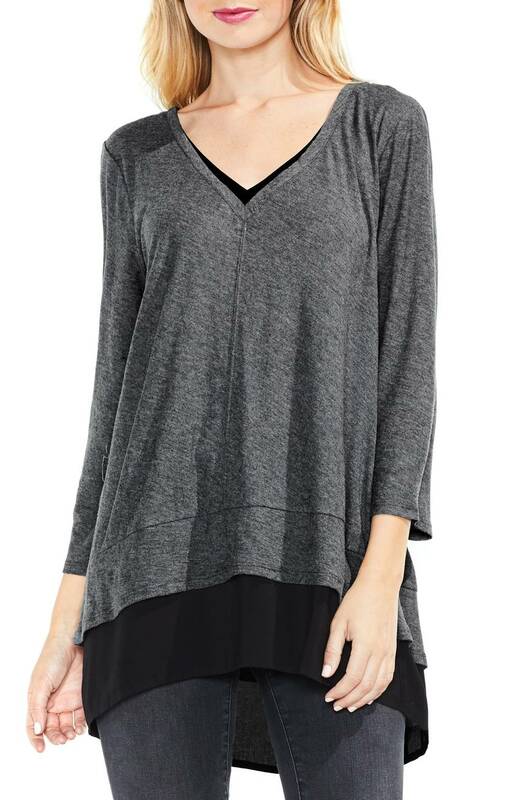 This tunic gives you a nice layered look without any added bulkiness. And finally: this ribbed sweater is rather quietly elegant, and not too tight, as ribbed sweaters often are. Did you miss the post I did the other day on cute tops under $100? it feels diminishing, like we’re supposed to be hiding inside, or as if we’ll be made “smaller” by the extra fabric. I know, I know, its “just” fashion (and I get that our aging bodies need some cover in certain parts)…I just, ugh, as a woman, I don’t want to be made smaller. Clever..."stomach pooch" as the new way to talk about our junk, er, stuff... I'm exhausted by all of the oversized styles. Huge bell, extra long sleeves that get in the way of life, oversize sweaters and coats... it feels diminishing, like we're supposed to be hiding inside, or as if we'll be made "smaller" by the extra fabric. I know, I know, its "just" fashion (and I get that our aging bodies need some cover in certain parts)...I just, ugh, as a woman, I don't want to be made smaller. Thank you for letting me vent. Yes, I have banned “stomach junk” from the site, as it seems to have rubbed more than one of you the wrong way. Yes, I have banned "stomach junk" from the site, as it seems to have rubbed more than one of you the wrong way. I recently bought a men’s shirt almost exactly like the striped one you pictured. It is an amazing Armani, found for a few dollars at a thrift store. You have inspired me to break it out this weekend. I recently bought a men's shirt almost exactly like the striped one you pictured. It is an amazing Armani, found for a few dollars at a thrift store. You have inspired me to break it out this weekend. I wear a lot of gray this time of year, from pale to charcoal, and have been wondering whether I need some gray booties. Black boots work, of course, but the idea of gray suede boots does appeal. Does anyone think gray pants beg to be worn with gray footwear? Not totally matchy-matchy, but just tonally in the gray zone? Yes to gray suede boots! Got a pair of ankle booties in gray at the beginning of winter and they’ve been a great neutral with so many outfits, not just gray but navy pants and jeans (black ones and blue ones). Those Halogen 3/4 sleeve cardigans are the bomb, like the Platonic ideal of a cardigan. I buy them on sale, so I have them in various (kind of weird) colors, but they add some cheer to all my black and grey. I :heart: grey, particularly a cooler tone. I’m packing for a work weekend and it’s basically grey and navy and a wee bit of white. It just makes me sortorially happy. I :heart: grey, particularly a cooler tone. I'm packing for a work weekend and it's basically grey and navy and a wee bit of white. It just makes me sortorially happy. 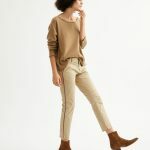 I adore grey in the way that, in the heyday of the 90s, I loved everything oatmeal/beige, hopeful that by wearing it, I might turn into Kate Moss. Sadly, that never happened. I do own what I would describe as a staggering amount of grey. I was watching a Justine LeConte YT video (if you haven’t checked her out, run on over), on color and meaning. And she said that grey doesn’t make a choice. It resonated with me, being in the state of wishiwashiness with general life BS. So I’ve been pairing my grey with colors that DO say something. For balance, of course. I’m also a big fan of Too Much Blush. That helps everything. 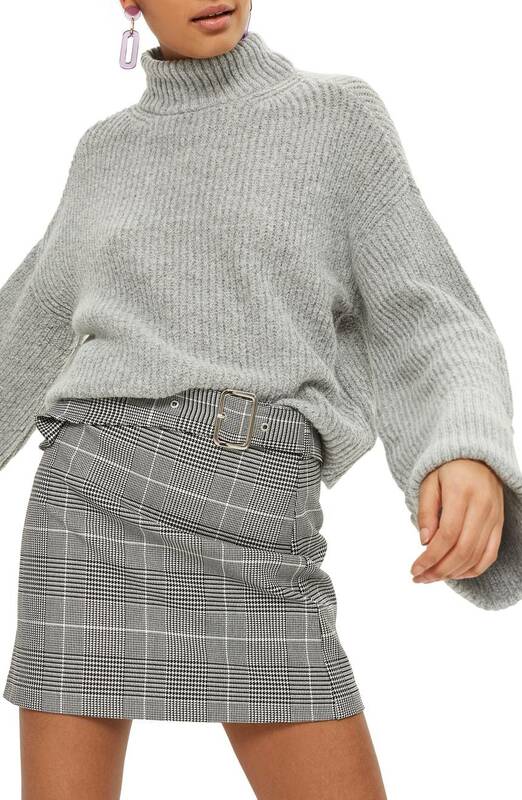 I adore grey in the way that, in the heyday of the 90s, I loved everything oatmeal/beige, hopeful that by wearing it, I might turn into Kate Moss. Sadly, that never happened. I do own what I would describe as a staggering amount of grey. I was watching a Justine LeConte YT video (if you haven't checked her out, run on over), on color and meaning. And she said that grey doesn't make a choice. It resonated with me, being in the state of wishiwashiness with general life BS. So I've been pairing my grey with colors that DO say something. For balance, of course. I'm also a big fan of Too Much Blush. That helps everything. Grey is my favourite non-black neutral. 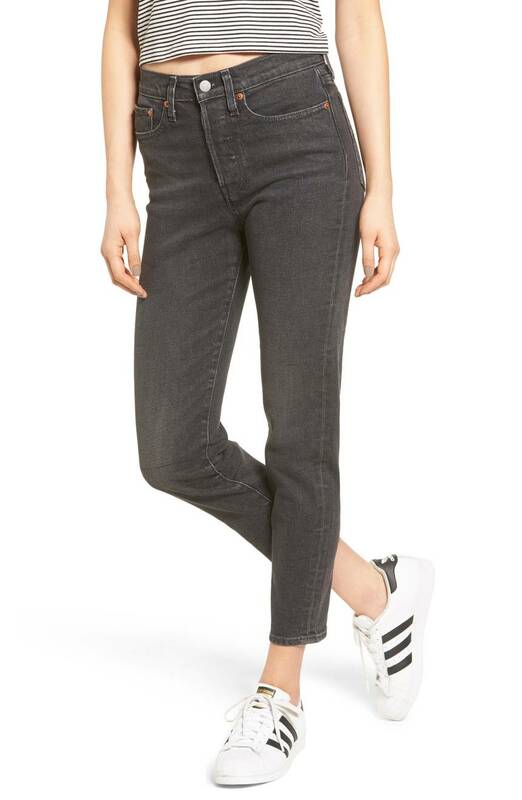 I finally found a perfect pair of grey skinny high-waisted jeans (on sale!) at All Saints, and felt like I had won the lottery..
Oh no Karen, I just totally flaked on including them! A million apologies. 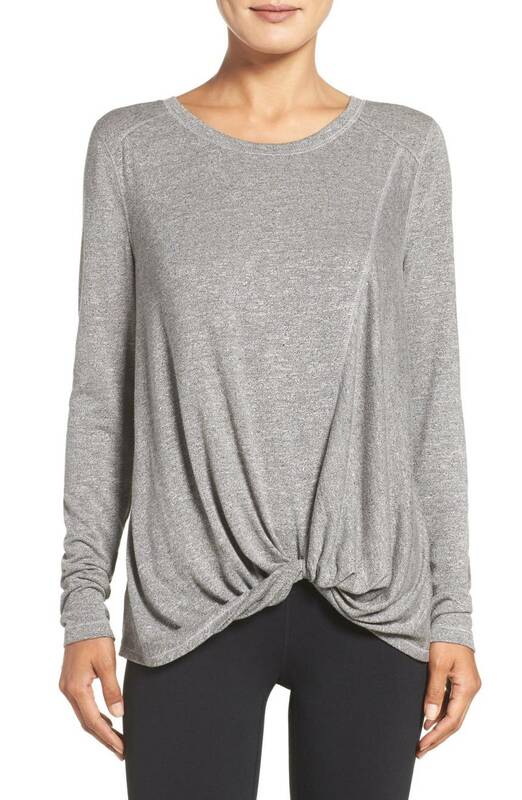 TJ Maxx has a very similar twist-front sweatshirt in grey (and navy – I ordered both)for $15. My wardrobe is never “on-point” so I suddenly feel very stylish that you featured something so similar! TJ Maxx has a very similar twist-front sweatshirt in grey (and navy - I ordered both)for $15. 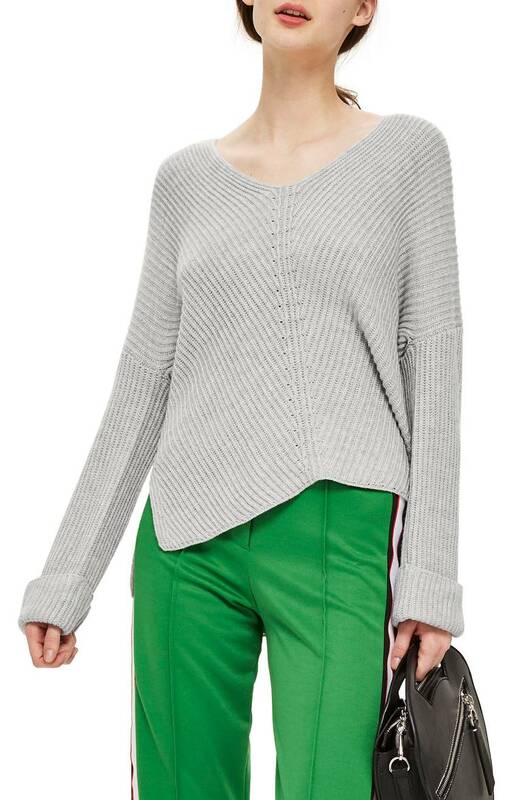 https://tjmaxx.tjx.com/store/jump/product/Twist-Front-Sweatshirt/1000298657?colorId=NS1003513&pos=1:2&Ntt=twist sweatshirt. My wardrobe is never "on-point" so I suddenly feel very stylish that you featured something so similar! Gray is one of my favorites––keeps me from looking washed out and as Maggie says it is a color that works beautifully with gray/white hair. Wanted that grey stripped shirt, but already sold out in my size! ARGH! 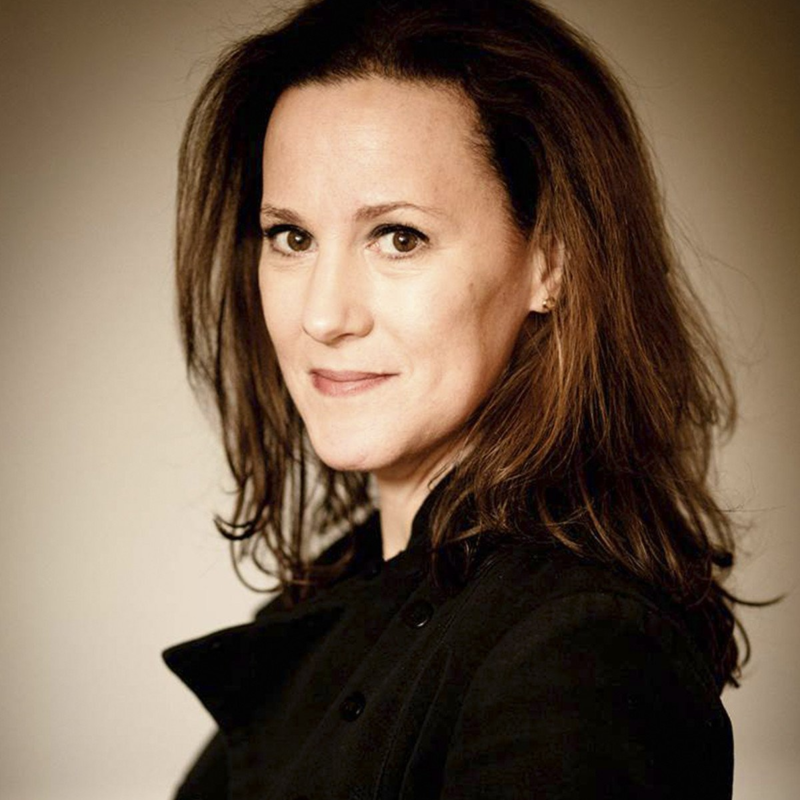 Moving on to the Levis…. I wear a ton of grey since adopting a couple of tri-color dogs (black, white and brown,) and a white cat; black no longer works. I stay with medium to dark grey, though, as I’m pale already. Grey is amazingly forgiving compared to black. I wear a ton of grey since adopting a couple of tri-color dogs (black, white and brown,) and a white cat; black no longer works. I stay with medium to dark grey, though, as I'm pale already. Grey is amazingly forgiving compared to black. I love that you match your clothes to your pets! Work with what ya got! I have pj’s by Honeydew that look just like the Eberjays. I think it does look pj-ish, tho. Sorry! I absolutely love the & other stories striped popover blouse. I’ve been searching for one like that forever. You’d be surprised how hard it can be to find “just right”! I’m of the opinion that makeup can make a color wearable for us, so I think you’ve got it covered, Kim! I have pj’s by Honeydew that look just like the Eberjays. I think it does look pj-ish, tho. Sorry! 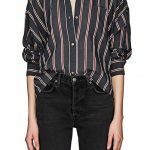 I absolutely love the & other stories striped popover blouse. I’ve been searching for one like that forever. You’d be surprised how hard it can be to find “just right”! I’m of the opinion that makeup can make a color wearable for us, so I think you’ve got it covered, Kim! I love gray. I always wear it with white or a color pop, like yellow or orange. Anywhere near the face I wear a vivid lip, like Sephora It Girl. I love grey as the perfect background for silver which is the only metal I wear. But it’s funny, I look at all these lovely tops (thanks a bunch Mango for only going up to a size 10) and I am SO OVER the half tuck. I love grey as the perfect background for silver which is the only metal I wear. But it's funny, I look at all these lovely tops (thanks a bunch Mango for only going up to a size 10) and I am SO OVER the half tuck.